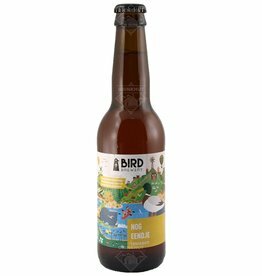 The Barley Bird from Bird Brewery in Amsterdam is the second in their Collaboration series. Together with Frontaal Brewery in Breda, they have developed a beautiful Barley wine. The beer Bird Nognietnaar Huismus is brewed by Bird Brewery in Amsterdam in The Netherlands. 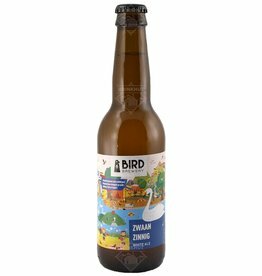 Miss Scarecrow from Brouwerij Bird in Amsterdam is the second in their specials series. Pumpkin is central here. A Pumpkin Ale to be drunk at Halloween and on dark days. 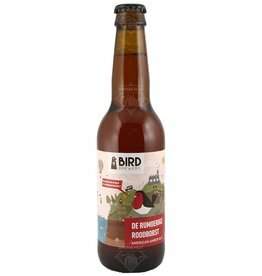 The beer Bird De Rumoerige Roodborst is brewed by Bird Brewery in Amsterdam in The Netherlands. The beer Bird Datsmaaktnaar Meerkoet is brewed by Bird Brewery in Amsterdam in The Netherlands. The beer Bird Datisandere Koekoek is brewed by Bird Brewery in Amsterdam in The Netherlands.